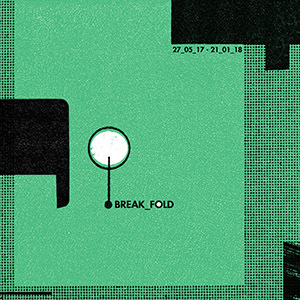 Following up last year’s equally difficult titled tape release, the mysterious break_fold project’s newest work, 27_05_17-21_01_18 continues the stripped-down techno style that the artist cultivated on that previous release, but in a way that demonstrates a sense of growth and complexity in comparison. With a unified sound across each of the seven songs—but different arrangements for each—the final product is a varied, satisfying one that draws from a wide variety of rhythm oriented electronic music. Compared to 07_07_15-13_04_16, there is more of an overall album-like sense of structure here, evident by the specifically designated intro and outro pieces that encapsulate the rest of the cassette very well. The opening "08_01_18_Intro" sets the stage: a short song of microscopic drum machine sounds and dramatic synth pads, it provides a strong summary of what is to follow. The concluding "08_01_18_Outro" is instead a cool-down piece: spacy, beat-less sounds that end the tape on a pleasantly calm note. Between these two points, however, is a lot of activity. The particular sound of break_fold is not necessarily one for pounding club numbers, nor is it clinically minimalist in its approach. Instead it lies somewhere between these two extremes. For "21_01_18" there is a sense of restraint. Beats are held back to place the focus on the gliding, melodic synth passages, all propelled by a lush, dubby bassline. Rich melodies also form the core of "27_05_17," a mass of pulsating electronics that are allowed to breath and slowly expand into a great sense of ambience. On "07_08_17," the structure may be sparse but the dynamics are not, as old school analog synth stabs and big, echoing drums stand out strongly. The break_fold sense of melody is still here, but in this case, they are pushed down a bit to give emphasis to the rhythms. The final product is a wonderful melding of the rigid, heavy beats that never relent with the subtle, slowly evolving synth melodies that evolve and vary consistently throughout. The high point of the tape for me would be "15_10_17," which excels in its complex mix and variation in arrangement. 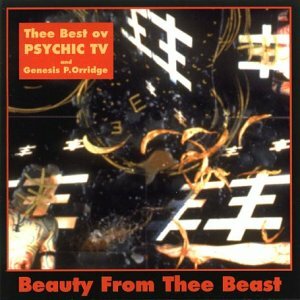 The rhythms are layered more densely, there is a greater variety of synth work, and with some almost guitar-like melodies thrown in the piece gels as an excellent piece of instrumental synth-pop. Some of the similar melodies also appear on "19_11_17" as well, within a buzzing electronic lead and fluttering electronics. Here, however, the more melodic elements have a bit too much of a new age-y feel for my liking, but the rest of the piece is quite strong. Like the previous tape from break_fold, there is a lot of great electronic music to be heard on 27_05_17-21_01_18. There does seem to be a greater sense of structure and cohesion this time, with the pieces going in different directions but all having a unified feel to them. Combined with the carefully planned flow of the tape from song to song, and the final product is an exceptional work of memorable melodies and strong, commanding beats.